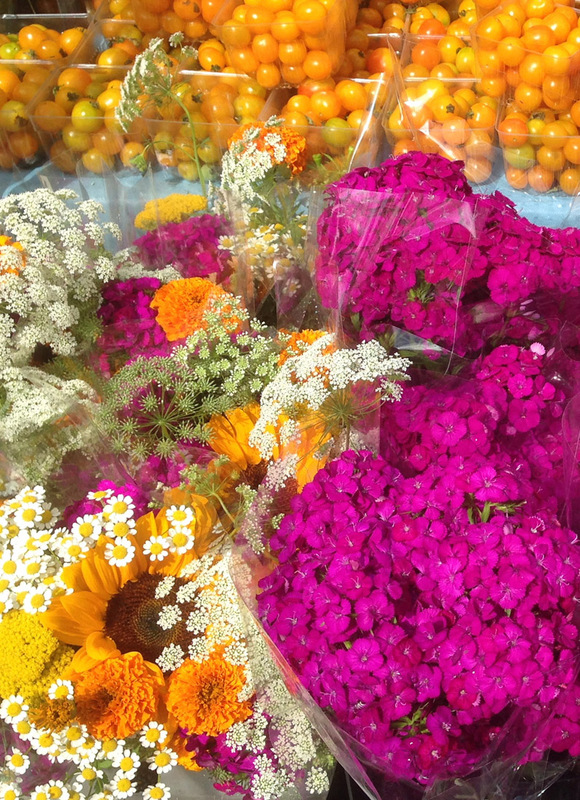 At the farmers market, a convergence of cherry tomatoes and cut flowers caught my eye. The mingled yellows and magentas looked Indian, or perhaps Mexican. They raised the memory of curries and chiles on my tongue. Just as with flavors and scents, we associate colors with places, even if they are places we have never visited in person. These colors speak of heat to me.